Luckily, with the storm front that moved through the area Tuesday evening, the Bob Zehr party had a beautiful day on the water fishing for Lake Trout on July 8th! Little did they know that the area they live in would experience a tornado that night as they were enjoying the great weather on Lake Ontario along with a decent day of catching fish. Their catch included a bunch of nice Lake Trout, a Whitefish and three bonus Brown Trout! On Sunday, July 6th, the Jim Schlieder party had a rough day of fishing thanks to the 4, 5 and occasional 6 foot waves Lake Ontario was throwing at them. Although the day was sunny and clear, it was cooler and the southwest winds created waves averaging between 4-6 feet which did not let up. On Wednesday, July 2nd, the Bob Wright party went fishing for Lake Trout. 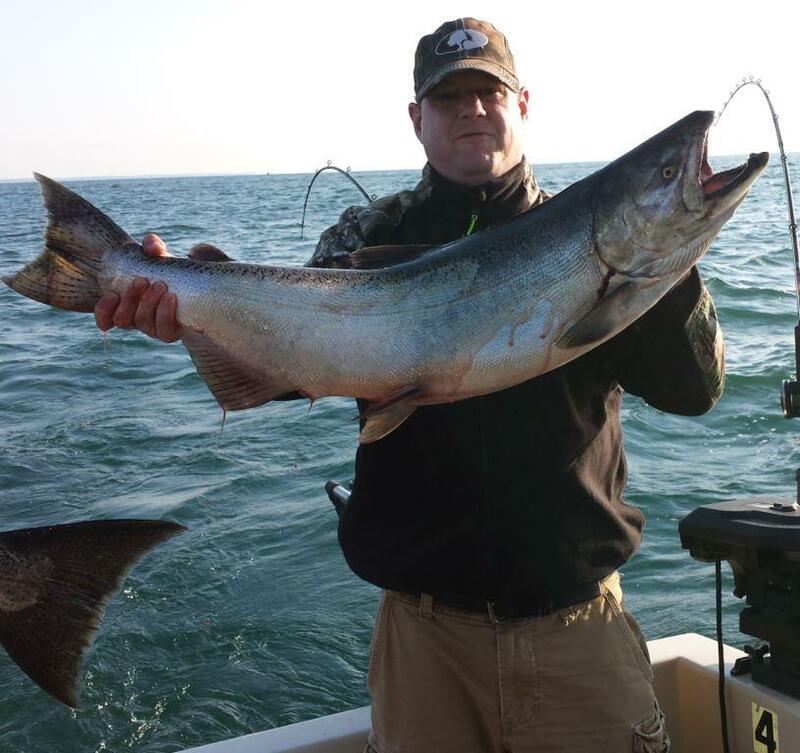 Although the fishing was slow, they did catch a few nice lakers but what really made the day was the bonus catch of a nice early summer King Salmon. The July Kings are a thing of beauty and that was the case on this beautiful sunny day out on Lake Ontario after a night of wind and thunderstorms!